Stories can be powerful. A good story can captivate the reader and create a strong emotional connection with them. Stories can motivate, engage, and leave a lasting impression on people. And because of these qualities, storytelling has found a prominent position in marketing. You might have great products or services to offer your customers. However, if you aren’t able to truly connect with your audience and appeal to their emotions, they won’t trust your brand or your offerings. In the absence of trust, any marketing or promotional messages you send will just seem like a pushy sales tactic. Here’s where stories can be effective. They can help you convey your marketing messages in a way that seems authentic and truly connect with your audience. They can help you showcase the human side of your brand and help to build trust and credibility. In this post, we’ll take a look at how you can use storytelling to build trust and humanize your brand. Storytelling is an effective marketing strategy because it’s isn’t pushy. It’s a welcome break from the boring, old advertisements that just talk about how great a product or service is. Stories about your brand that involves real people – the people who bring your products to life or the people whose lives you touch, can create a compelling narrative that hooks your audience. And such stories succeed at making your brand seem less inanimate and more human. This automatically helps to build trust. If you can move your audience with your stories, you’ve won half your battle. Take a page out of Maersk’s book. 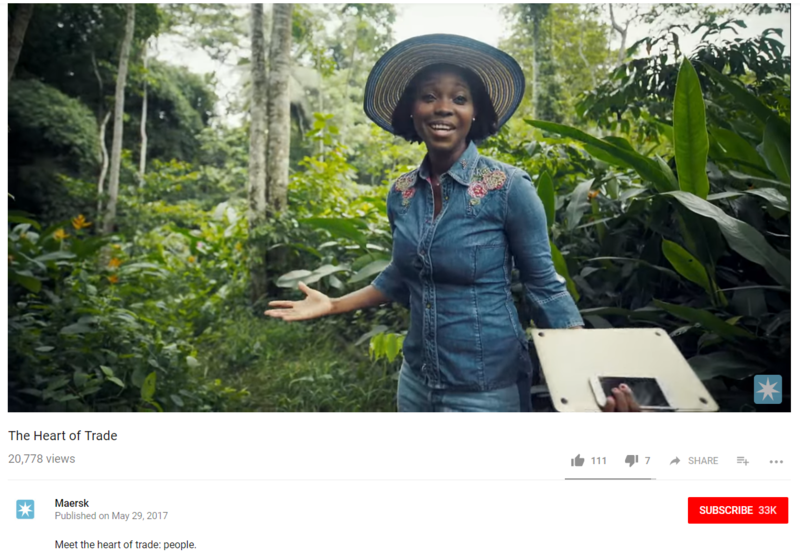 They created a campaign called “The Heart of Trade” that showcases the lives of people involved in global trade. Such stories not only inspire viewers but also helps to win their trust by humanizing a brand. Now, let’s take a look at a few ways you can use storytelling to build trust and humanize your brand. Your employees are your greatest assets. They’re the ones who work day in and out conceptualizing your amazing products or services, bringing them to life, and improving the lives of your customers through their creations. So, it’s a great idea to put them in the forefront and share their stories with your audience. You can showcase “a day in the life” of an employee and share behind-the-scenes stories about what goes into bringing your products to life. This is a great way to humanize your brand and connect with your audience to build trust. 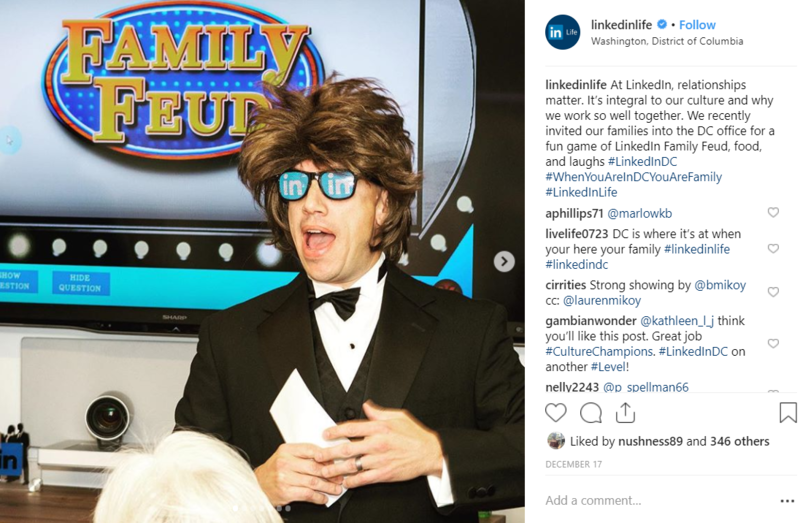 LinkedIn has an Instagram account called “LinkedInLife” on which they showcase what goes on behind-the-scenes in their company. In the following post, you can see them using storytelling to talk about how relationships are an integral part of their culture. There are perhaps no better stories than the ones which showcase how your products or services have touched the lives of people. These can be so much more effective at building trust than just advertising the best features of your products or services. People find such stories relatable and this can go a long way to build trust. They’ll be more open to the thought of spending their hard-earned money on your products knowing that they are useful. You can make this possible by sharing the success stories and testimonials from your happy customers. 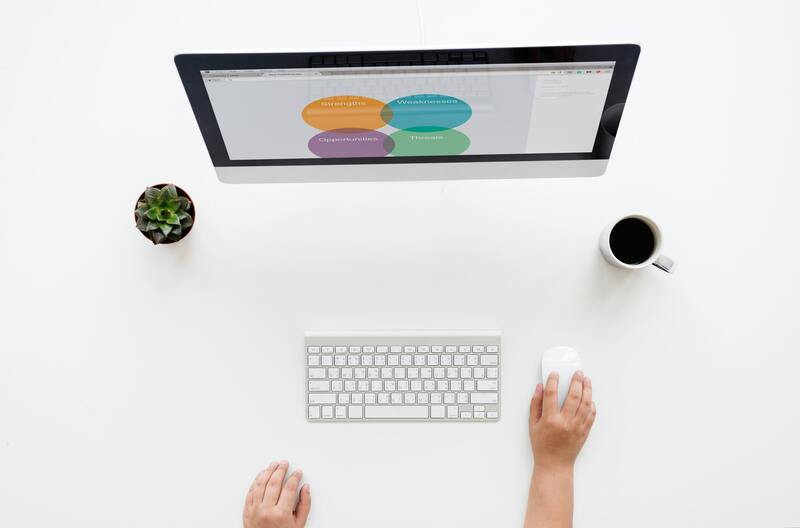 For example, Salesforce highlights the journeys of their customers and the success they’ve seen by using their solutions through stories on their website. This is a great way to gain the trust of your potential customers. Influencers are not only great content creators but also expert storytellers. Studies have found that recommendations from influencers coupled with tweets from brands can increase the purchase intent by 5.2X. This is because influencers are a trusted source of information. So, you can build greater trust through storytelling by leveraging influencers to communicate them. Let’s take a look at how Microsoft did it. They wanted to increase awareness about women working in science, technology, engineering, and math (STEM) and wanted to encourage more women to take up careers in these disciplines. So, they launched an influencer campaign by partnering with photography influencers. 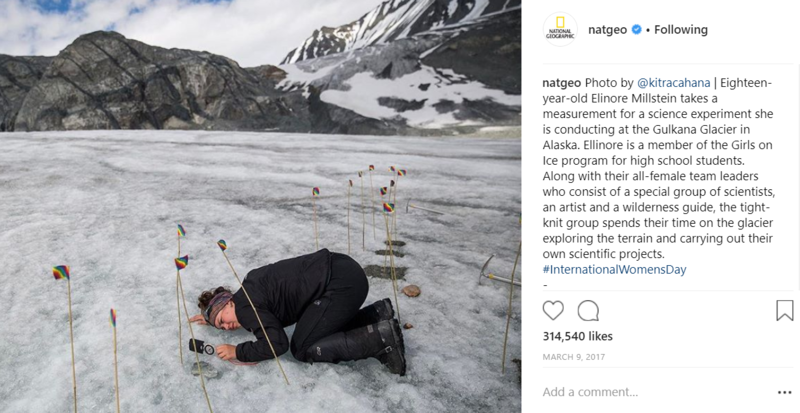 On Women’s Day 2017, they posted 30 photos across 5 National Geographic Instagram accounts. The photos garnered over 3.5 million likes and a total reach of more than 91 million. Storytelling has been around for a long time. However, brands and marketers have now realized that this a great strategy to get the maximum ROI from content marketing. Authentic stories can help you create lasting relationships with your customers and build customer loyalty. So, leverage the tips mentioned above to humanize your brand and build greater trust through storytelling. Can you think of any other ways to use storytelling to build trust? Let us know in the comments below. I am a Finance Professional with a vast experience in Telecom and Healthcare sector. What’s Your Story: 4 Reasons Why Being an Expert at Telling Your Story is Critical to Your Success.